For nearly two decades, Leslea has been working with clients developing financial strategies to work towards specific goals, using a variety of investments including stocks, bonds, mutual funds, ETFs, closed-end funds, unit investment trusts, REITs, insurance and annuities. She is a Chartered Retirement Planning Counselor SM , specializing in advising business owners and professionals approaching or in retirement in the areas of concentrated stock, stock options, restricted stock, pensions and other forms of compensation. 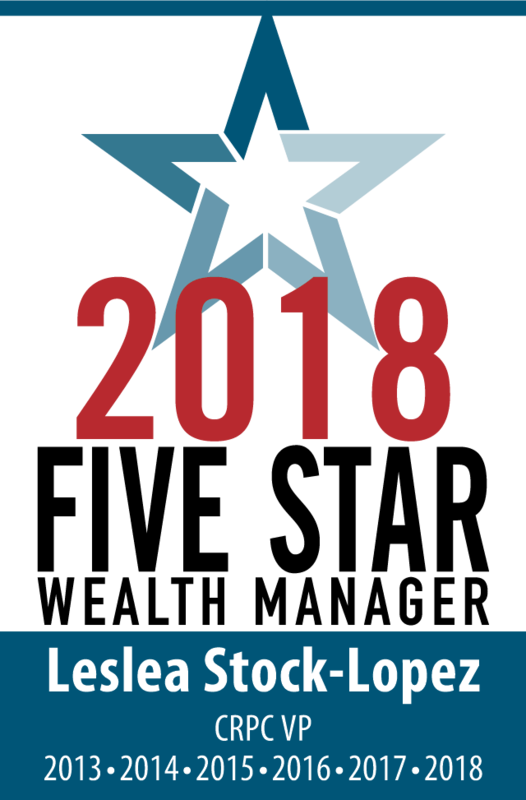 Leslea is a 2013, 2014, 2015, 2016, 2017 & 2018 Five Star Wealth Manager* and the past-president of both the Midtown Business Network and the Memorial Women’s Business Network. She is currently the Vice President of the Houston Chapter of Women in Insurance and Financial Services. 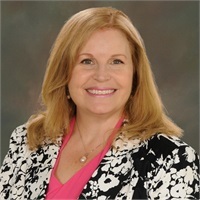 Leslea sits on the board of the Women Driving Business committee for the Houston West Chamber of Commerce and is a graduate of the 2015 West Houston Leadership Institute. Leslea is a lifetime member of the Houston Livestock Show and Rodeo and is on the Speaker’s Bureau for the Houston Chapter of the Alzheimer’s Association and the Women’s Resource Center. Leslea holds 2 business degrees from The Pennsylvania State University as well as security and insurance licenses. She is a lifetime member of the Alpha Omicron Pi Sorority and the Penn State Alumni Association. Leslea believes that educated and active investors are the most successful. That’s why her planning-based Wealth Planning firm is designed to help clients become more knowledgeable and confident investors. Her responsibility as your financial advisor is to provide objective information and recommendations to guide clients on a path that pursues their financial objectives. No two investors are alike, and Leslea feels her job is to develop customized strategies to grow and protect wealth. She provides a holistic approach to investing and that begins by reviewing her clients’ goals and resources, and then building a customized plan to ensure assets work together to produce an income stream that pursues retirement lifestyles and lasts a lifetime. The customized plan is then put into action and investments are monitored closely to be sure they are performing. Clients can expect frequent updates and ongoing conversations to keep their plan and investments on track.